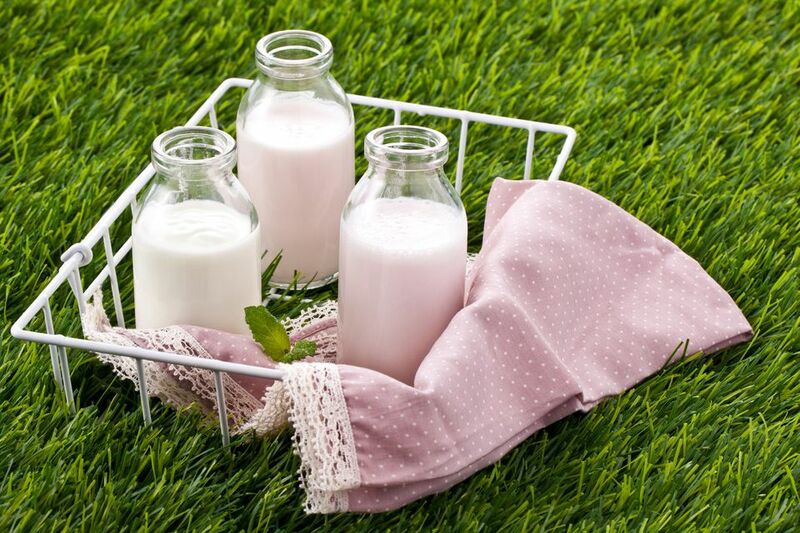 The distinctions between different kinds of milk and cream labels can be confusing. They all begin with whole milk, which consists of three components: water, milk solids, and butterfat. If you allow unpasteurized milk to stand, it separates into cream (mostly butterfat) and skim milk (mostly water). Skim milk with less than 0.5 percent butterfat. If you keep reducing the water, you get butter, which must by law be 80 percent butterfat. Half-and-half is a combination of half whole milk and half light cream with about 12 percent butterfat. In the U.K. it might be referred to as "light cream" or "half cream." You might encounter fat-free half-and-half but be warned that it is made from skim milk, corn syrup, and a thickener and may not perform well in recipes. It is perhaps best used in coffee. Evaporated milk and sweetened condensed milk are canned milk products that can be somewhat confusing. Evaporated milk is shelf-stable milk from which about 60 percent of the water has been removed. It might also be called "canned milk" because it is sold in cans. It was a popular milk choice in the early 1900s because of its shelf life. It was the base for infant formulas and was often used as a substitute for fresh milk and cream. Evaporated milk comes in regular, low-fat, and fat-free (or skimmed) varieties. If you substitute evaporated milk for regular milk in a recipe, it will be richer and creamier. You can dilute the evaporated milk 1-to-1 to equal the creaminess of whole milk. Sweetened condensed milk is also canned shelf-stable milk. The difference between evaporated milk and sweetened condensed milk is the sugar. A significant amount of sugar is added to the sweetened condensed milk, which makes it an essential ingredient in many candies and baked goods. The sugar also gives it a longer shelf life. You can whip light whipping cream and heavy cream for many variations, but you can't whip light cream or half-and-half. The butterfat content is the key to the ability to whip cream into a peak. In a recipe, you can often make substitutions, but remember that as you go down in butterfat, your dish becomes less rich. If your recipe calls for cream but doesn't say which type, use heavy cream. Often, heavy cream is used in sauces where it will be more stable and resist curdling than light cream. To make your own half-and-half if you have cream and milk on hand, combine four parts whole milk with one part heavy cream, or three parts whole milk with one part light whipping cream. What Is Bran? And What Is It Good For?